South Australia is indisputably Australia's wine state, producing 50 percent of all bottled wine and 80 percent of Australia’s premium wine. Adelaide, South Australia is a Great Wine Capital of the World, through recognition of its wine regions as significant economic and cultural assets. Rigorous biosecurity measures have kept our state free of the vine ravaging pest phylloxera, making South Australia home to some of the oldest vines the oldest in the world. 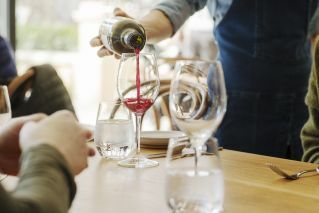 South Australian wines are exported to 100 countries, with an export value of $1.85 billion in 2017-18. The Primary Industries in South Australia Fast Facts (PDF 1.3 MB) provides key messages and fast facts about South Australia's primary industries, including grains, meat and livestock, wine, seafood, horticulture, dairy and forestry. The Wine key messages and fast facts (PDF 235.9 KB) provides comprehensive messaging, including fast facts, about the wine industry to help gain an understanding of it in South Australia, including production and farm gate value. Download high and low resolution images from the image gallery. Please ensure you credit Primary Industries and Regions SA (PIRSA) when using the images. These reports provide detailed information on the wine sector, its annual performance and current investment opportunities.